Can ARROW’s Laurel (Katie Cassidy) help Oliver (Stephen Amell)? With Oliver’s safety very much in jeopardy, Laurel attempts to get him released from prison. 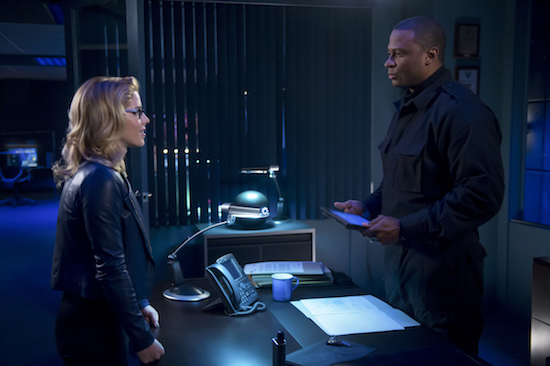 Arrow -- "Due Process" -- Image Number: AR706B_0076bc -- Pictured (L-R): Emily Bett Rickards as Felicity Smoak and David Ramsey as John Diggle/Spartan -- Photo: Diyah Pera/The CW -- ÃÂ© 2018 The CW Network, LLC. All Rights Reserved.